In October 2012 the Prime Minister announced that Major General (retired) Michael Jeffery is Australia’s first Advocate for Soils. While the role isn’t clearly defined it is assumed that Jeffery will be promoting strategies for improving soil health across Australia’s cropping and grazing farm land. But what knowledge and experience does Jeffery have to undertake this role and will he be able to do it across the wide spectrum of approaches, based around agricultural science, ‘natural’ farming practical experience, and non-production values (credence values such as animal welfare, food composition, carbon balance etc), that exist amongst professional and non-professional farmers. The Advocate for Soils Michael Jeffery has polarised farmers, researchers and advisors into two groups, those that agree with his Soils for Life approach and the rest. The answer is no, because Jeffery has aligned himself to particular minority branches of farm management which while highly appealing in themselves do not represent mainstream farming methods. On Moffitts Farm we practise one of his advocated methods, collect data associated with soil health and biodiversity, and conduct on-farm workshops promoting holistic grazing management and biological farming but are realistic enough to realise that the majority of farmers have difficulty understanding this approach. Without any doubt the agricultural science based paradigm dominates all facets of farming including research, education, extension, commerce, and banking. What makes Jeffery’s appointment as Advocate for Soils untenable is that farmers who do not practise the management he advocates are labeled as farm land degraders. This connection can be drawn because Jeffery is Chairman of a new farm management strategy group called Soils for Life which has clearly outlined its blue print for the future for farming in a booklet published on line called “Innovations for Regenerative Landscape Management”. Case studies of landscape regeneration in practice. Parts one and two highlight specific approaches to farming which have a combined scientific and ideological basis but need more quantitative evidence generated before being generally promoted as the right way for the future. Part three’s case study farmers are interesting stories about the management practised by innovators in their fields, but just because their approach suits them and works for them, it doesn’t follow that other approaches using different methods are degrading the soil and the natural environment. The booklet, the Soil for Life campaign and the appointment of Jeffery as Advocate for Soils, combine to create a divide amongst Australia’s farmers about the future of land management. This polarizes debate rather than drawing ideas together so all approaches learn from each other. 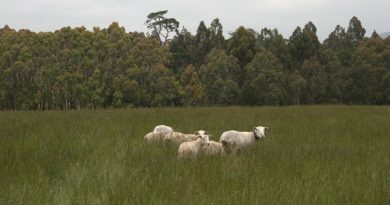 The polarization happens because Soils for Life fails to recognise outstanding outcomes in farmland ecosystem health that commenced in the early 1980’s, received a boost with the introduction of landcare in 1990, uncovered a well known “secret” – soil organic matter and the soil food web in the late 1990s’, and are currently progressing through a new knowledge era with farmers’ ability to accurately associate cause and effect of management decisions using computer technology and analysis. We are now in the third decade of good news farming, where improving ecosystem health is happening to varying degrees for at least 75% of professional farmers and for many of the non-professionals. Another reason why Soils for Life is causing polarization amongst farmers, which is more difficult to define but equally important, is the way the organisation associates with particular farming method ideologies. More than ever before farmers are embracing management ideologies based around the appeal or revulsion of methods and sentiments proposed as the way forward, by high profile advocates. So innovator farmers (also called early adopters) often become disciples of a particular “new” method like organic farming, holistic grazing management, regenerative farming, carbon farming, natural sequence farming, pasture cropping, etc. In some instances early adopters become commercial (paid) advocates of their ideology and are often supported with government funding to run trial projects which gains them more publicity. More than likely most professional farmers are prepared to look across the board of farming methods and learn from all of them, without becoming a disciple of any. For non-professional or part-time farmers, which according to a recent Australian Bureau of Statistics (ABS) analysis are around 55% of the total, adoption of alternative methods can appeal on ideological grounds with credence values often considered more important than productivity. For many in this category, adopting an ideological stance can suit for three reasons, fear of method failure is not high, measurement of outcomes is not crucial for income generation, and opportunities for local boutique product marketing are greater with credence values. Without mentioning any examples of cropping farm improvements to water use efficiency, yields per 100 mm of rainfall, improving soil carbon levels, reduced application of N and P fertiliser per unit of yield etc, the booklet states “…the earth may have only 48 years of topsoil left. A reduction in global food production of 30% in the next 25-50 years due to soil degradation alone.” This is non-specific, alarmist nonsense. 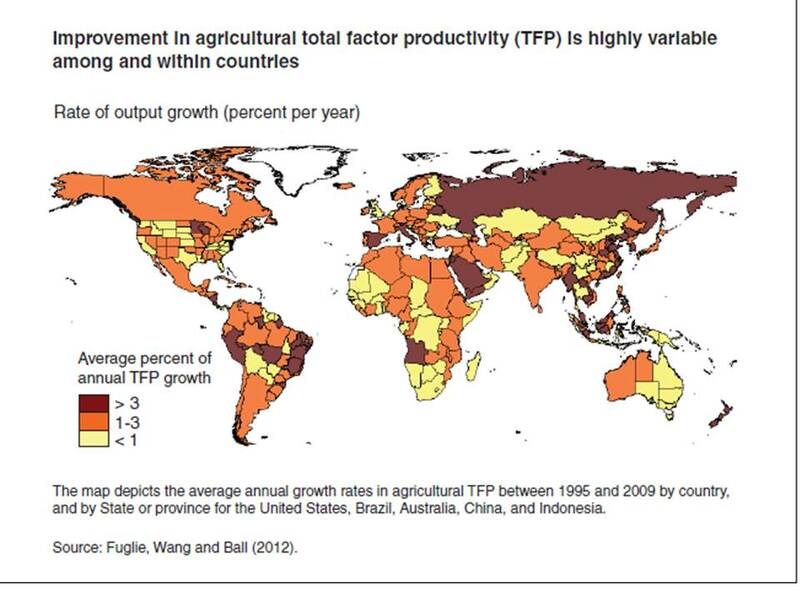 Had the authors taken some time to review total factor productivity analysis of individual countries around the world, they would have uncovered improvements to farming methods and output in most major grain producing countries in conjunction with environmental improvement. Even in sub-Sahara African countries, initiatives in a host of management areas, such as financing women farmers, financing seed and fertiliser use, adoption of farm forestry, introducing communication technologies, building roads and storage facilities, are having positive impacts on production, soil health and income generation. In reference to Australia’s farms it says there is “declining soil health, caused by the loss of soil organic carbon; erosion (unspecified); severe salinity (unspecified); diminishing river flows (unspecified); high evaporation and runoff rates; reduced resilience to impacts of extreme and variable weather events”. For many professional farmers this is an insult, as most have adopted management strategies that keep their businesses viable irrespective of weather. There is no mention of farmers who are members of groups like Wimmera Conservation Farmers Association, WA No-till Farmers, Central West Conservation Farmers Association and many other landcare farming groups, who are demonstrating major production and ecosystem health outcomes on members’ farms. Soils for Life gives the impression that it holds the keys to successful farming in the future: “The National.. challenges…can be best met through a comprehensive coordinated approach focused on improved regenerative environmental management practices.” So it warns failure to adopt its approach means “…the realities of an increasingly degraded landscape, less reliable access to water, and increasing input costs for fuel and non-organic fertilisers, will further impact on the productivity and viability of agricultural enterprises”. It says food quality, with no indication of any particular food so all must be incriminated, is “suffering” due to the breakdown of the nutrient cycle. 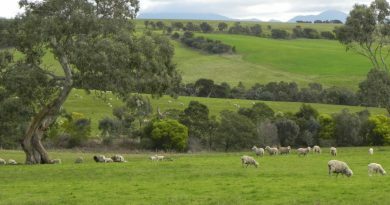 “Farmland soils have been stripped of nutrients in a one-way flow of minerals and nutrients from the soil, to food, to consumption, to waste.” There is no mention of research into fertiliser use on Australian farms, which demonstrates that in many instances too much fertiliser has been applied over many years and farmers are adopting strategies to utilise the excess by lifting soil organic matter content and in turn improving the soil food web. Also no mention that animal manures are the most applied fertiliser/soil organic matter improver in Australia. It refers to practices that have been adopted by the majority of cropping and pasture farmers as if they are new and should be embraced, eg irrigation monitoring, targeted water delivery, no-till farming and use of adaptive animal breeds. It uses highly generic statistics to illustrate soil degradation on a world scale, but these have little meaning because they are not associated with particular countries, traditions, management practices. Some statistics are bizarre, particularly the reference to the demise of soil organic carbon in Australia – unspecified as to pastoral land, cropping land, high rainfall farming land. “When explorer and geologist Sir Paul Edmund Strezlecki collected 41 soil samples around south eastern Australia between 1839 and 1843, average soil organic matter in the top ten most productive farm samples was 20%, with levels of organic matter up to 37.75% – equating to soil organic carbon content of 10% to nearly 20%”. How was soil organic matter tested in the laboratory in 1843? It is probable the particulate organic matter was not sieved out of the samples contributing to the high numbers. Given soil organic matter levels are a function of temperature, moisture, soil structure and type of plants present, figures such have little relevance without more specific site data and analysis method used. Chapter 2 provides an insight into the techniques Soils for Life consider are important to restore the farming landscape. It suggests only a small number of farmers are currently involved but in reality, according to ABS data, there are large numbers involved. Landcare farming is testament to this and every couple of years for the past 20 years, these farmers have been recognised in state and national awards. Incredibly it refers to the techniques which it considers need to be adopted more widely, seemingly oblivious to the fact that most of them are already widely used. It refers to : applying “organic” composts – not sure what composts would not be organic; time controlled grazing; retaining stubble; slowing water interventions; fencing off waterways and water reticulation for livestock; revegetation; direct drilling; green manure crops ; undersowing legumes. This chapter starts to introduce case study farms to highlight some of their achievements as a result of improving soil health by adopting strategies outlined above. Such case studies are great examples, but it is not helpful to give the impression that other approaches, including use of herbicides and inorganic fertilisers, are somehow inappropriate so cannot be part of the farming mix. It emphasizes “…the application of organic composts, worm juice, and biological amendments comprising beneficial bacteria and fungi”. Many of the case study farmers (with the exception of those with organic or biodynamic certification) use herbicides and inorganic fertilisers from time to time but this is not mentioned. In its conclusion to chapter 2, Soils for Life repeats its assertion that existing land managers are using practices that degrade farming landscapes. In 1990 there would have been justification for saying this. But even then, it should be recognised that enormous progress had been made in farm management, soil conservation, habitat restoration, adapted animal selection and productivity, compared to a generation earlier. By continuing to insist current farming methods are degrading the soil, Soils for Life is reinforcing a media stereotyping of farmers , which portrays them as uneducated, exploiters of the natural environment, who are constantly at the mercy of weather events and need government support to keep their businesses viable. The Advocate for Soil position should never have been created with one person in mind. The concept is a sound one, but it should have been a shared position embracing a panel of leading, appropriately qualified advocates associated with the major farm management approaches: agricultural science, organic farming, and biological/natural farming. Such a panel has the potential to expose farmers to truly holistic knowledge that would further Australia’s food and fibre production and business profitability across environmentally healthier farm ecosystems. Such ecosystems give farmers financial reward through lower input costs, higher output per unit of input, and greater resilience in low rainfall years. Jeffery has suggested some sort of financial stewardship payment be introduced, but that is fraught with danger of mismanagement and rorting. Stewardship payments are worth considering when farmers set aside areas of their farms from agriculture for biodiversity and riparian restoration and for erosion control. 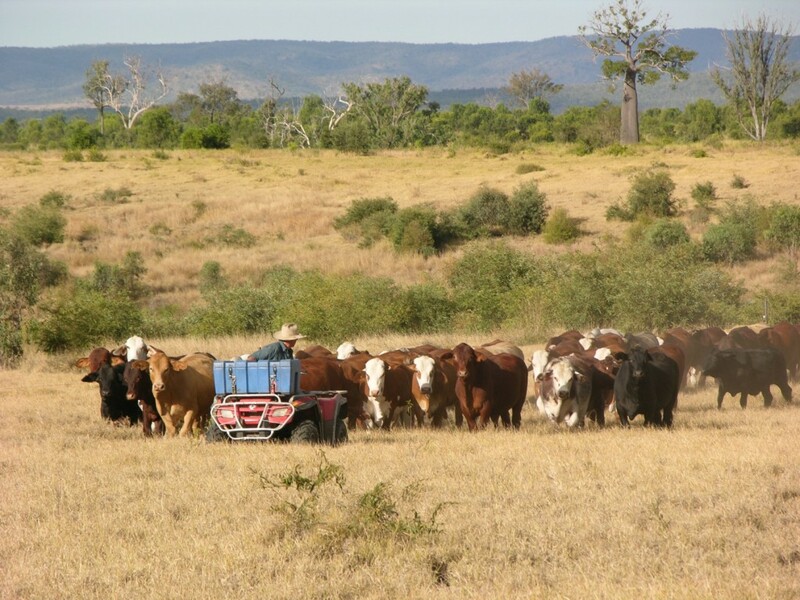 As well, drastic interventions particularly in the rangeland, which require some years of destocking of livestock as well as control of invasive native animals, should be eligible for stewardship payments to provide for ongoing maintenance and retention of employees. In all cases stewardship payments must be associated with credible and permanent monitoring of ecological trends. This is a very interesting and thought provoking article and the points are all well presented and made. One area of debate is whether the state of Australian soils are in fact in crisis and therefore needs an advocate to initiate significant change or is it that farmers and scientists have things well enough in hand? Personally, I feel the future of agriculture requires significant change to happen now, with much of it in the direction of what Jeffries advocates and of the likes that holistic grazing that Moffit farms has embraced. I suspect such change requires strong leadership to make it happen wholesale, which Jeffries may or may not be able to provide – I certifiably do not know him to comment with any authority. However, I very much doubt that ‘a panel of leading, appropriately qualified advocates associated with the major farm management approaches: agricultural science, organic farming, and biological/natural farming’ could ever possibly provide the leadership required. I suspect there would be too many compromises made of which I doubt mother nature can really afford. Unfortunately, I do not know what to suggest as an alternative to the panel as suggested by the article. I suspect it would need a change of attitude at a political level, and since politics is really about the distribution of wealth, given the huge vested interests involved in maintenance of the status quo by chemical and fertiliser companies, I doubt we’ll see any change in that direction anytime soon.